Delta Air Lines showed off its new “flagship” aircraft for international service, the Airbus A350, last week, taking the media on a demonstration flight to preview the plane’s performance up close. For Delta — the first airline in North America to take delivery of an A350 — it was a chance put its new state-of-the-art A350 in front of media ahead of its launch. 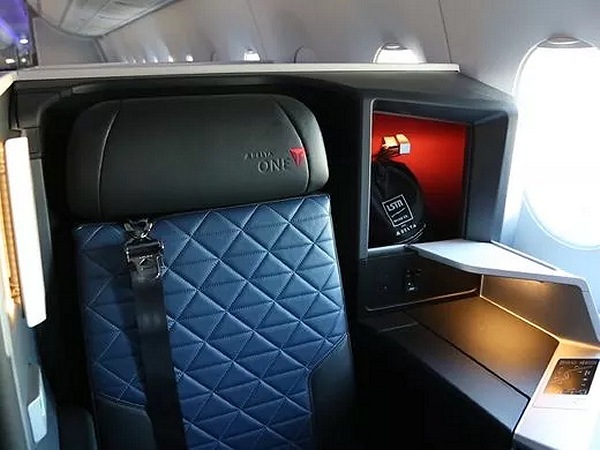 The 306-seat jet will be the first to feature two of the carrier’s new high-profile seating options: the Delta One suite and the new Delta Premium Select premium economy seat. Good news for corporate travel clients. 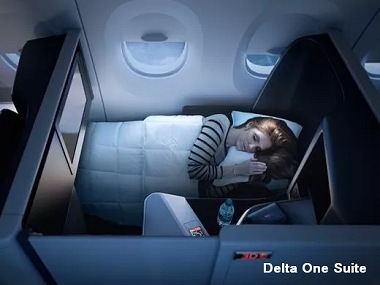 The 32 Delta One suites feature seats that convert into lie-flat beds. Though that’s become a standard option for most big global carriers, Delta’s newest suites come with a privacy door. The doors are released with the flip of a lever in the suite, allowing Delta One suite customers to close off their space for extra privacy. Also debuting on Delta’s new A350 is the carrier’s first true international-style premium economy seat. 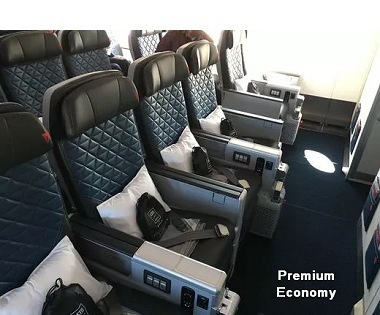 Dubbed Delta Premium Select, the seats are not simply coach seats with extra legroom. Instead, they’re entirely different seats that come with extended recline and footrests. The Premium Select seats also come with perks like enhanced meal service, priority check-in and amenity kits. Delta also will add the new Premium Select seats to its Boeing 777s in its overhaul of those aircraft. 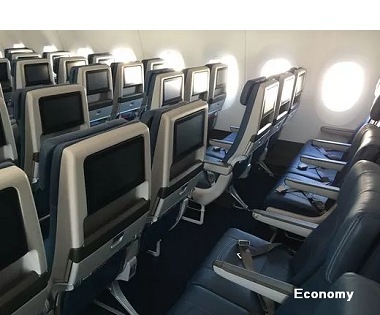 For now, Delta has not revealed plans to add the new suites or enhanced premium economy seats to its other widebody jets that fly overseas routes. Delta’s first revenue flights on the aircraft will begin Oct. 30 when the aircraft begins taking over flights on the airline’s route between Detroit and Tokyo Narita. The A350 will next begin flying Delta’s Detroit-Seoul routes Nov. 18 and its Detroit-Beijing routes Jan. 17. The company also will use its A350s for its Atlanta-Seoul flights starting March 24. The Delta One suites will make their debut with the carrier’s new A350s and are scheduled to be on all 25 of the new A350s Delta has on order. Delta also will retrofit its fleet of 18 Boeing 777s with new suites. That effort will begin next year and will take about three years to finish. Amsterdam will become Delta’s next destination in Europe for its brand-new Airbus A350 aircraft. That will come in March, when carrier will add non-stop flights from Detroit to Amsterdam. In part, Delta plans to use its new A350s to help phase out its Boeing 747 jets, which the carrier plans to finish by the end of this year.